Very unusual and highly decorative coat rack and hat stand. 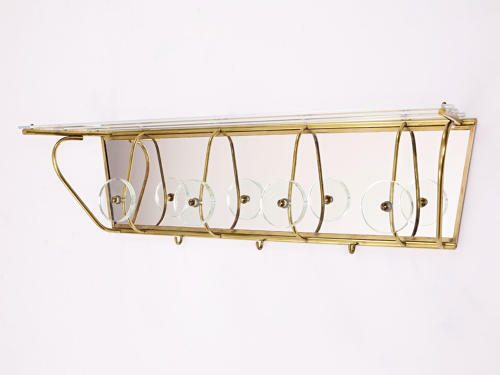 3 sections of glass forming a hat stand sitting on a brass frame with 4 circular glass coat holders and brass hooks. Mirrored glass back plate.